New Police Officers—Clark’s newest police officers were graduated from the Union County Police Academy on Wednesday, June 4, after successfully completing a five month training course. Officer Terrance Harrison, shown at left, joined the Clark Police Department in January. An Army veteran, Harrison served one tour of duty in Iraq. 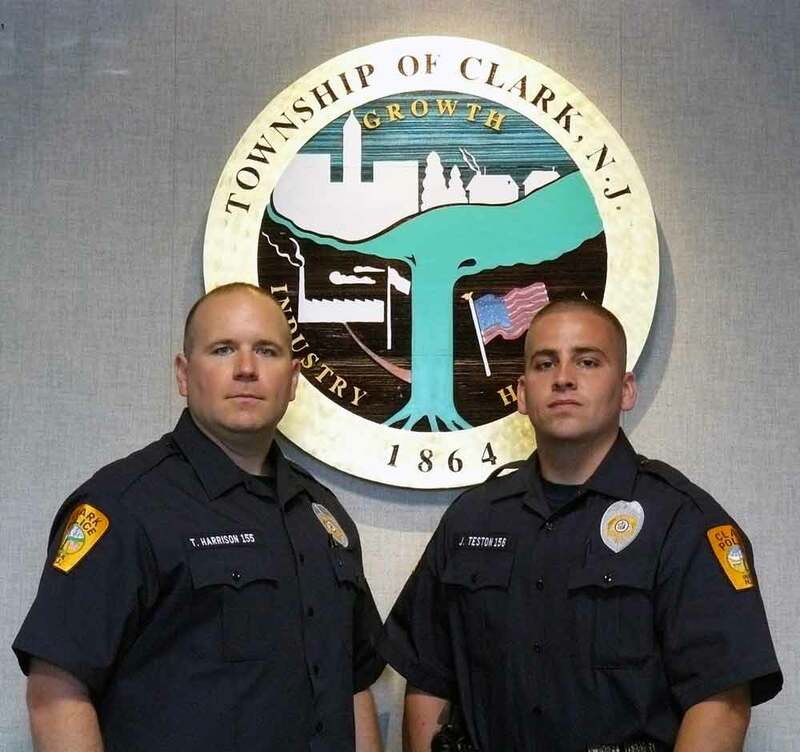 Officer Joseph Teston, shown at right, also joined the Clark Police in January. He served one tour of duty in Iraq with the United States Marine Corp.